Tired of creating tool zombies with little to show for it? Not getting the results you expected from Six Sigma? 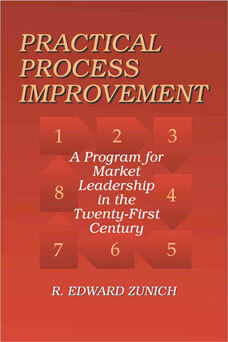 Try Practical Process Improvement! From his years of experience as a Navy Captain and a management consultant in industry, Ed Zunich developed this powerful program that is being successfully used in organizations and corporations around the world. This book describes the philosophy, background, principles, and practical applications of his approach. Managers and employees at all levels will find the book informative and easy to read, and the methods simple and effective. Practical Process Improvement replaces complexity with a straightforward approach that has a proven track record.